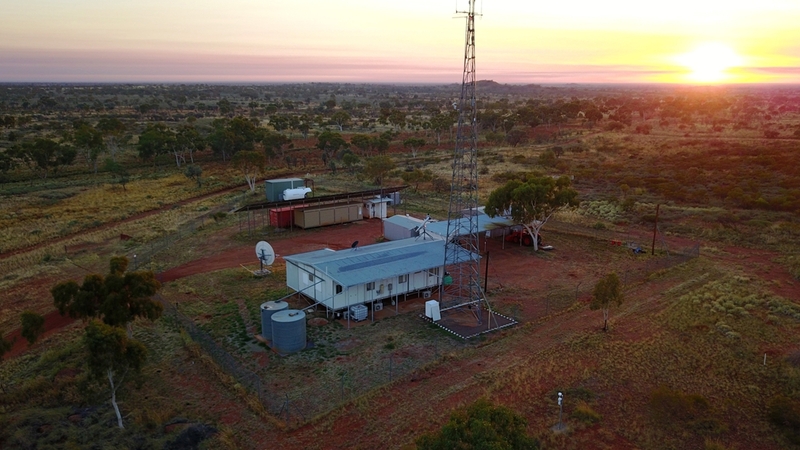 The Australian National University (ANU) highlights primary seismic station PS02 in Warramunga, Northern Territory, Australia, part of CTBTO’s International Monitoring System network which is operated by ANU’s Research School of Earth Sciences. Watch the video and read the full article here, originally published on ANU’s website on 18 August 2017. “The Warramunga Seismic and Infrasound Research Station of the ANU Research School of Earth Sciences is here because nothing much else is. With no traffic or city noise, no mining and no ocean waves, it is geologically quiet. When there are footsteps hitting the ground around the station, they can be detected. When a wild brumby gallops past, it’s detected. And when a nuclear bomb is tested in North Korea, here, in the desert, it’s detected. Because Warramunga is actually part of a high-tech global network for monitoring nuclear testing. This isolated research station which could generously be called a demountable, and may more accurately be described as a converted shed, is funded by the Comprehensive Test Ban Treaty Organisation (CTBTO), headquartered in Vienna, supported by the United Nations, and managed by ANU for over 30 years. The station uses arrays of seismometers spread over a distance of 20 kilometres to detect tremors from nuclear testing on the ground, and infrasound sensors to detect atmospheric waves from nuclear testing in the air. The location of the sensors was chosen in consultation with the Warumungu people, from whom the land is leased, so they wouldn’t interfere with sacred sites. Read the full article on ANU.